Over the last decade, the EU has faced numerous threats that quickly increased in their magnitude. The sources of these threats have been heterogeneous. Moreover, the lines between physical and cyber worlds are increasingly blurred as nearly everything is connected to the internet. If it is not the case, physical intrusion might rub out of barriers. Threats cannot be analysed solely as physical or cyber, and therefore it is critical to develop an integrated approach in order to fight against such combination of threats. Health services are among the most critical infrastructures and the most vulnerable ones. The aim of SAFECARE is to provide solutions that will improve physical and cyber security in a seamless and cost-effective way. Thereby, it promotes new technologies and novel approaches to enhance threat prevention, threat detection, incident response and mitigation of impacts. Over the course of 36 months, SAFECARE will design, test, validate and demonstrate 13 innovative elements optimizing the protection of critical infrastructure under operational conditions. Because living in a safe and secure society is a fundamental human need. 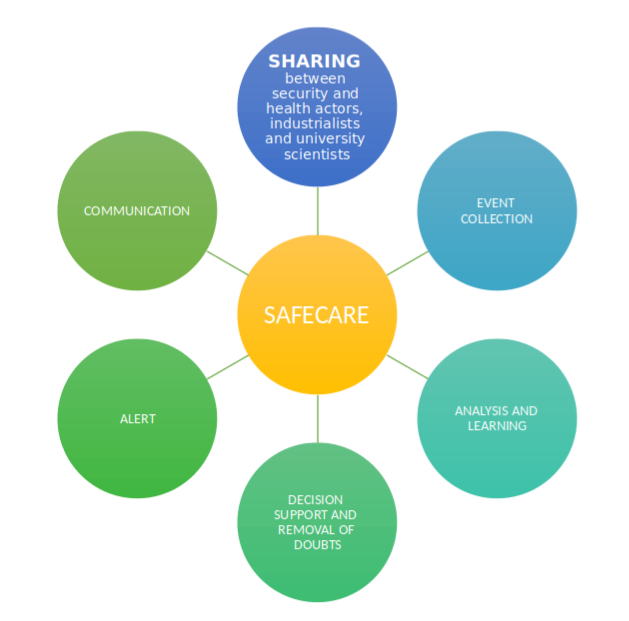 Bringing together the most advanced technologies from the physical and cyber security spheres, SAFECARE aims to deliver high-quality, innovative and cost-effective solutions in system security. These solutions focus on mitigating cyber-physical threats and incidents and their interconnections and potential cascading effects. Focusing on health services infrastructure, SAFECARE will work towards creating a global protection system, which will cover threat prevention, detection, response and mitigation of impacts across infrastructures, populations and environments. © 2018 SafeCare. All rights reserved.